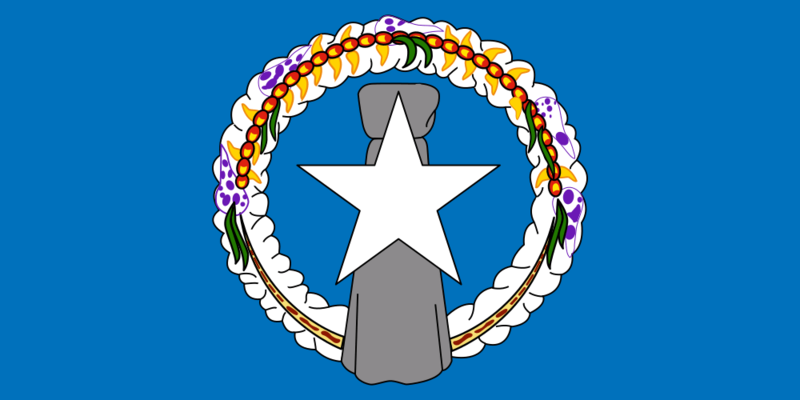 The flag of the US Territory of Northern Mariana Islands consists of a white five-point star, a stone pillar, and a wreath on a blue background. The star represents the island’s connection with the United States and the blue background represents the ocean. The stone pillar, called a latte stone, represents the Chamorro, an indigenous people of the island. The wreath, called a mwarmwar, represents the Carolinians, who are indigenous to various islands in the region. This flag was adopted in July of 1985.